Check out this innovative design for anyone that is short of space on your desk but needs a drink close at hand. 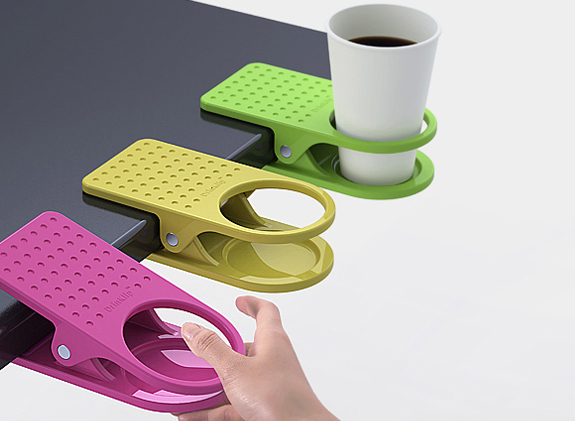 The DrinKlip attaches itself to a desk edge creating a neat drinks holder. It also provides extra anti-spill protection built in. The DrinKlip was designed by Kim Hyun-been, who also holds down a full-time job designing mobile phones for LG Electronics.